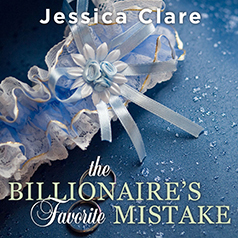 A hot one-night stand between friends might spark true love in the latest Billionaires and Bridesmaids novel from the New York Times bestselling author of The Billionaire Takes a Bride. Contains mature themes. Greer has always been there for Asher, but she wishes that she could break through her shyness and show how much she truly loves him. But after a steamy, mindless fling at Hunter and Gretchen's engagement party, Greer finds herself tossed aside and forced to admit that you can't love someone who doesn't acknowledge you exist. It's a shame that he got her pregnant. After his fiancée betrayed him and tanked his business in one fell swoop, Asher has spent his time trying to rebuild his wealth and forget the past. But he doesn't understand why Greer blew him off after their night together—until he catches a glimpse of her belly. Now Asher is willing to do whatever it takes to convince Greer that she belongs with him. And he's very skilled at the art of persuasion.